FFO Note: Please check the benefits of using Nutritional grade Diatomaceous Earth, especialy for heart worm. A little DE in your pets food and it will eliminate all worms and intestinal parasites, detox heavy metals, protect against radiation and heart worm. Sometimes the simplest solution is the best. We carry treats for dog as well that have DE in them, one half to one treat a day and they will be protected. Please note that while your pets immune system is good they will be able to fight flea infestation better but the powder needs to be in the pet fur and in you rugs and furniture to effect fleas.Dr. 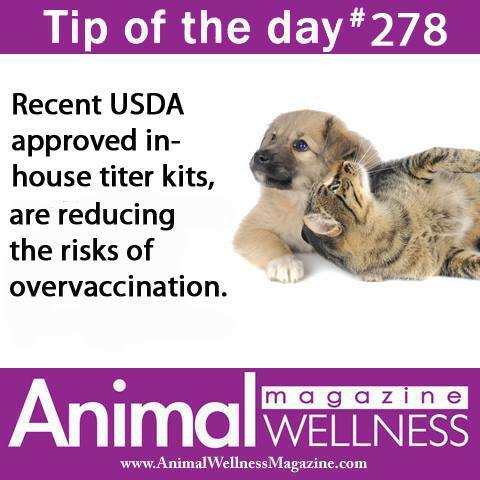 Brandon Brooks, DVM – “Many (if not most) Over The Counter (OTC) or non-prescription flea control products are very toxic to cats and kittens- especially the ones only approved for use in dogs. Many people mistakenly buy these for their pet (it’s not always their fault, the companies that make them want you to buy it, they don’t really care about the dangers involved) so it pays to be extra careful when buying flea control products.” Our animals are sicker than ever. Veterinarians have never seen such an increase in the rate of liver disease, nervous system disorders, cancers, diabetes, renal failure and other diseases. Our animals are being routinely poisoned with pet food and pet medicine. Popular anti-flea and anti-tick medications are extremely toxic to the liver. Sick of Drugging your Pet? There is a better way to bring your pet to health Are Antibiotics Making Your Pet Sick? En Francais: Effets de la pollution: Comment prot?ger votre animal de compagnie contre la pollution environnementale. Veterinary Malpractice – “Of the tens of thousands of veterinarians practicing in the United States, many are incompetent, careless or both. Others fail to deliver adequate care because their singular focus on profits makes them unwilling to pay for qualified employees, equipment, supplies, etc. I have even known of one vet who diluted her euthanasia drugs and another who re-used single-use surgery supplies. Unnecessary deaths and suffering have become commonplace.” moreWarning: Deramaxx-maker Novartis – canine osteo-arthritis drugChris Sweeney, who used to own a 9-year-old cocker spaniel named Ari, said she never would have used the drugs if she had been aware of the possible side effects. “I went from having a healthy dog to having a dog that had to be rushed to the hospital and they said he might die on the way,” Sweeney said, adding that she believes Metacam is responsible for Ari’s death.Boston veterinarian Dr. Margo Roman said she feels cases such as Ari’s are the tip of the iceberg. “There’s liver issues, there can be kidney issues, there can be gastrointestinal irritation issues,” Roman said, adding that she would never prescribe these NSAIDs to her patients or use them on her own dog. 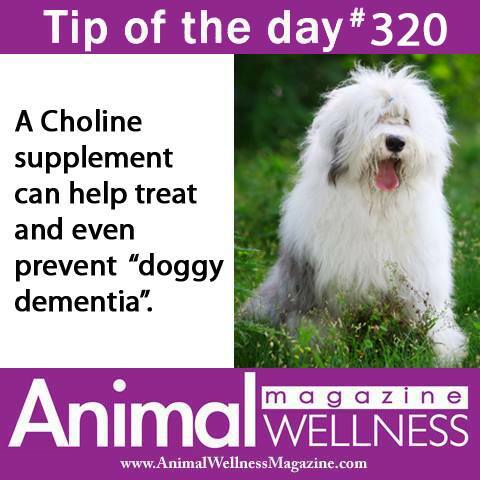 Pet owners do not have to turn to potentially harmful prescription drugs for their pets’ health, however. Natural options are available. Health advocate Mike Adams says that pet health, like human health, mostly comes down to proper nutrition, although he noted a pet’s dietary needs were specific.“It is tragic, although not surprising, that so many beloved pets are falling victim to these side effects,” said Adams, co-author of the “Real Safety Guide to Pet Health” with Dawn Prate. “These drug companies are just interested in making a buck, and the FDA is just interested in protecting their financial interests, so of course they are going to say the medicine is safe if used properly. What they don’t mention is that these drugs should only be used as an absolute last resort or if your pet sustains an injury, not as part of a lifestyle.”The bottom line is: The healthiest thing you can do for your pet is love it, feed it properly, and keep prescription drugs as far away from it as possible,” he said. Health Hazards from Chemical Flea and Tick Products Each year, Americans purchase and apply to their pets a vast array of toxic chemicals intended to kill fleas and ticks. These include collars, sprays, dusts and more. Other pet owners take their pets to veterinarians to be dipped in chemicals. Many consumers probably assume that the products they and their vets use have been subjected to rigorous testing, and must, by virtue of their very ubiquity, be safe. After all, how could the government let deadly poisons be sold on grocery store shelves without applying stringent standards? Spot-On Pesticides such as Frontline, Zodiac, Defend, Bio Spot, Adams and Advantage trigger adverse reactions in dogs and cats, shorten life spans, cause terminal illness, and premature death. . The active ingredients in these solutions include chemicals such as imidacloprid, fipronil, permethrin, methoprene, and pyriproxyfen, all of which have caused serious health problems in animals in laboratories.2 Even some of the inert ingredients can be hazardous to your animal companion’s health. Other forms of flea control—powders, collars, and sprays—are no less dangerous to you or your companion animals. Labels may warn not to get these substances on your skin, to wash your hands after applying it, and to keep it away from children, yet these chemicals are absorbed by your animal’s skin. Immediate effects of pesticide overdose include vomiting, diarrhea, trembling, seizures, and respiratory problems. If your dog or cat shows any of these symptoms after the application of a pesticide, immediately wash the product off and seek veterinary care. We at Flea Free Organically hope this help to understand the challenges pet owners and their families face. As a former nurse I saw many cases of children who had been exposed to these pet med toxins. The irresponsibility of our government to bury its collective head in the sand is unforgivable. What we must do is understand that a few fleas are acceptable. Please read the ‘Flea Arsenal’ which will arm you against the battle of the flea. It can be found here in the Blog section.